Picking the right flooring can make or break a room. Remember the days of shag carpeting and black and white kitchen tiles? If you like the 50s and the 70s styles, then shag carpeting and black and white tiles may not sound so bad, but for a majority of people, both of those flooring options tend to not be something they want people to focus on when they are visiting the house. The flooring can be the centerfold of the house. When you pick hardwood flooring for your living room, you’ll be able to decorate around the classic color of mahogany. If you pick tile for the bathroom, you can mix and match with the colors to bring a certain pizzazz, so you brighten up the room. By picking the best flooring for your home, you can create an atmosphere that is classic or one that’s more fun with some edginess. Regardless if you like laminate flooring or luxury vinyl better, what matters is that when you come home from a long day at work or from a fun little vacation, you can relax in your living room and feel like you’re home. If you’re interested in shopping for the best flooring in the Tampa, FL, area, then our selection of options for your floor will meet your expectations. We offer flooring that will bring your home together and make it feel like your special place. We offer a few different types of overall flooring options, but we provide a variety of different brands, styles, and colors, to pick from. 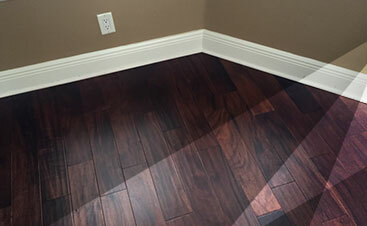 Some of the flooring options we offer are hardwood, laminate, luxury vinyl, and tile. To learn more about the variety of different brands and styles we offer, check out the Brands We Sell. What Room Are You Remodeling? When you’re remodeling the flooring in your home, the first facet you need to consider is figuring out what room you want to focus on. For instance, are you installing flooring in the living room, bathroom, kitchen, a bedroom, a study, the basement, or are you doing the entire house? When you figure out the room that you’re going to focus on for your flooring, then you’re able to best determine the type of style you can use for the room. Choosing the room you want to remodel is the best way to figure out your perfect choice for flooring. Once you’ve picked the room you’re going to remodel for flooring, then it’s time to seriously consider some factors before you make your ultimate choice about the flooring you want in the room or all over the house. These factors are very important to consider because it’ll help you determine what the right choice is for your home. If you don’t consider any of these factors, then you could be stuck with a flooring option you slowly begin to resent, thus ensuring you spend more money switching the flooring out for another option. Moisture is the enemy of a lot of flooring options. If you’re installing flooring into a high moisture room, then it’s very important to pick flooring that’ll withstand the moisture exposure. If the room is very high in moisture, then you’re going to need to pick a flooring option that’s able to withstand the dewiness. If you are installing flooring in a room that has a very limited amount of moisture, then you won’t have to worry about moisture as much. Living in Tampa, the weather can get pretty humid, which is why you should still take into consideration moisture, but if you aren’t installing flooring in a basement, bathroom, or another room that might gather a lot of humidity and moisture, then your concern with the amount of condensation isn’t as big of an issue as it might be to some people. Some types of flooring to consider if you’re installing flooring into a high moisture area is tile and luxury vinyl. Who lives in your home? Are there a lot of smaller children? Do you have pets that roam your halls? Does anyone who is disabled or elderly reside in your home? 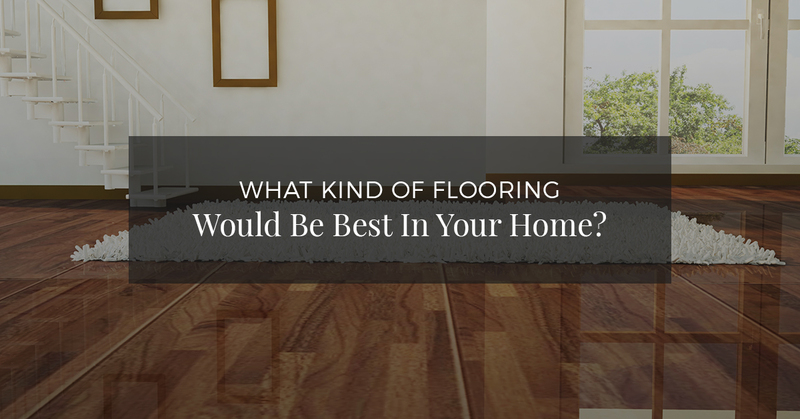 If you have pets, children, disabled family, or elderly members in your family, then you need to consider each of these facets to determine what the best flooring for your family may be. Pets can be messy and accidents can happen, which means you want to find a flooring option that’s easy to clean. Children can be imaginative, which means you’ll need to brace your home in case your children get a little too creative and accidentally ruins something. Elderly members and disabled members might have wheelchairs or canes, so you want to make sure you have a durable floor. When you have younger family members, pets, and older members of your family, it’s best to pick a flooring option that’s resistant and sustainable. For example, white carpeting is not going to last long in a home that has pets or small children. The best flooring options for your home would be tile, laminate, or luxury vinyl flooring. What’s your budget? What are you working with? Thankfully, at 2 Day Flooring, we offer our services for a great price. In comparison to those other guys, we’re the experts who will offer our services for an incomparable price. 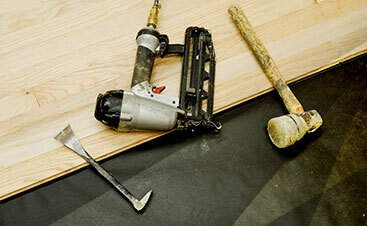 However, installation and purchasing the flooring option are two different attributes. This means, that you’ll still need to have a budget for your flooring options. So, how much do you want to spend? Do you have a budget set in mind? To stay within your budget, create a list of expectations to figure out how to stay within your spending limit. This will help when you go shopping for your flooring, so you don’t go over the amount you’ve set aside for your flooring renovation. If you like to clean, then purchasing flooring with high maintenance won’t be troublesome to you. However, if you dislike cleaning and it’s the bane of your existence, then finding flooring that’s very low maintenance is your best bet. Keeping up with your flooring maintenance is ideal for those who don’t have any small children, pets, or other responsibilities. Even if you enjoy cleaning, it can sometimes be a hassle to maintain the flooring once a week or bi-weekly. Long days, tired nights, and lazy afternoons are all factors that don’t allow us to get everything done and sometimes cleaning is the one thing we let slide. Some flooring options that don’t require that much maintenance are vinyl luxury, laminate, and tile. Now that you know how to find the right flooring for your room or home, it’s time to call on a flooring expert to make sure your flooring looks magnificent. If 2 Day Flooring sounds like the company to do your flooring, then take the time to contact the flooring experts in Tampa by filling out the form below.